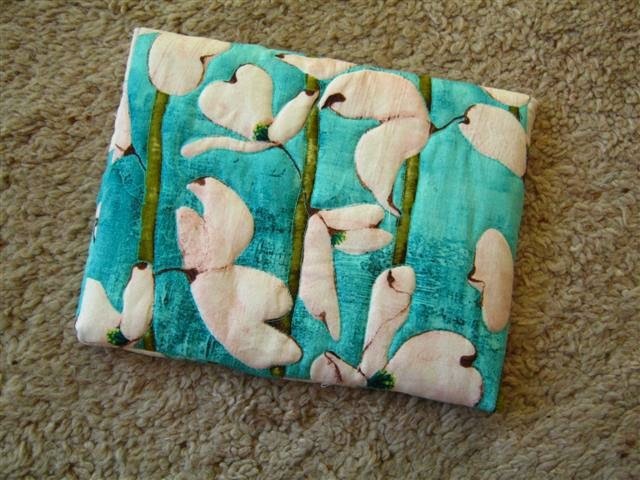 By accident, I came across this pretty fabric in the department store. 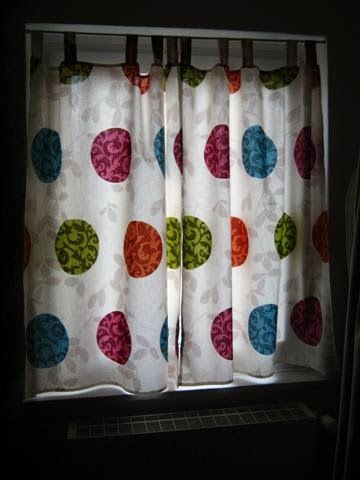 A quick brainstorming resulted in a plan to sew bedroom curtains. 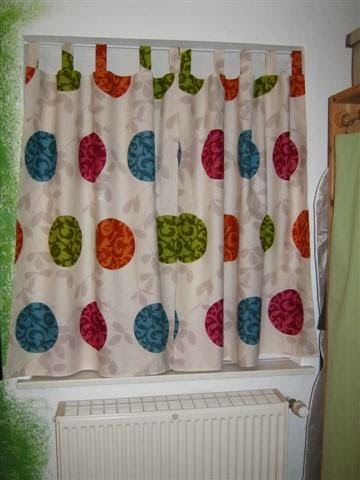 I improvised it, deciding in the end to use loops to hang the curtain up. I have to say, this project went amazingly smoothly and quickly. I'm very pleased with the results and am sure I sleep better because of it, especially now that the sun rises earlier again. 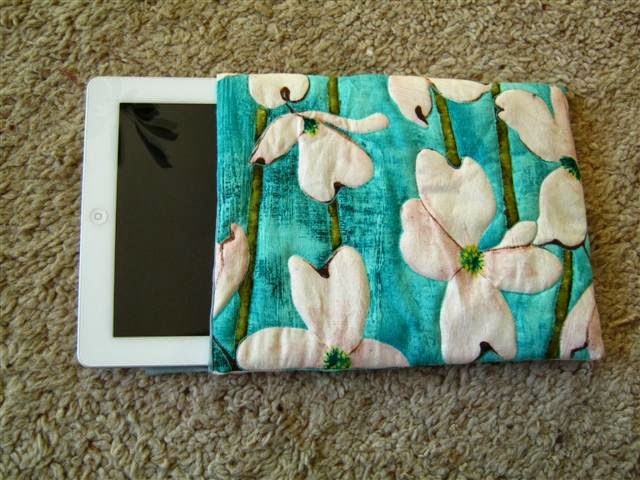 I used some of my treasured fabric from the magnolia series to make an iPad cover. 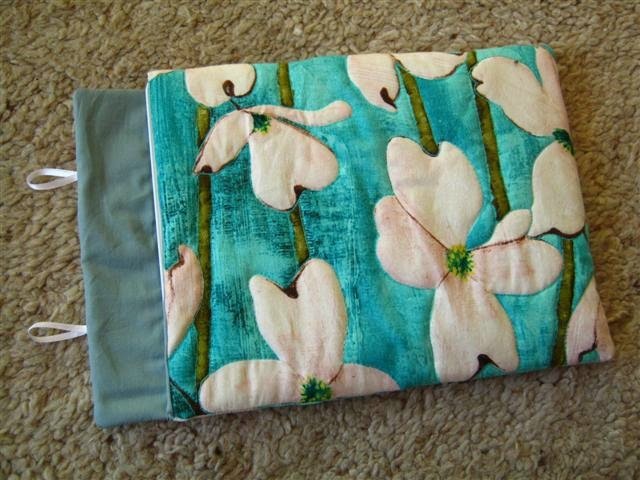 After my last experience making one for a friend (the iPad cover kept being too small, despite my careful measuring...), I added even more to my measurements. And it still came out tight! Argh! But, it fit, and with time it will probably stretch a bit. 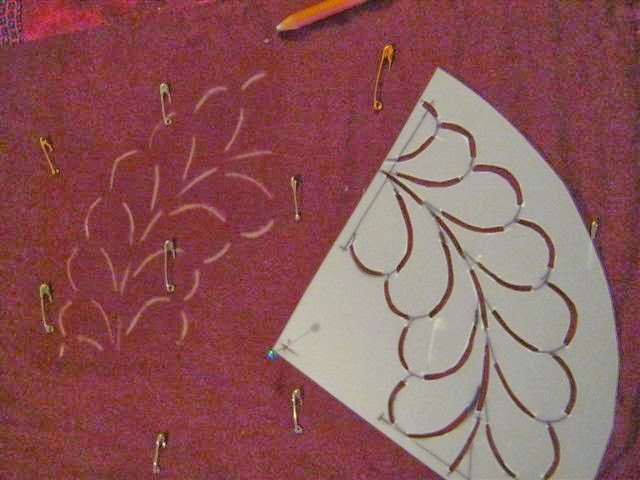 Instead of quilting a pattern, I free-motion outlined the flowers and stems. 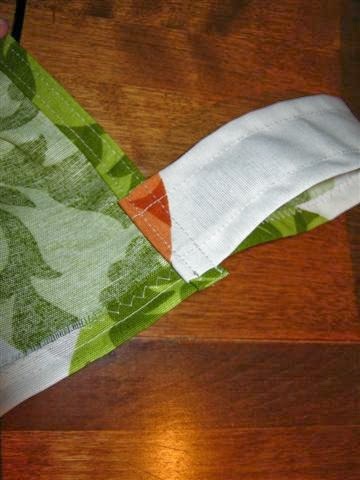 I didn't use any basting pins, and the batting shifted a bit by the times I reached the other end, but the problem was solvable with a bit of pulling and stretching. 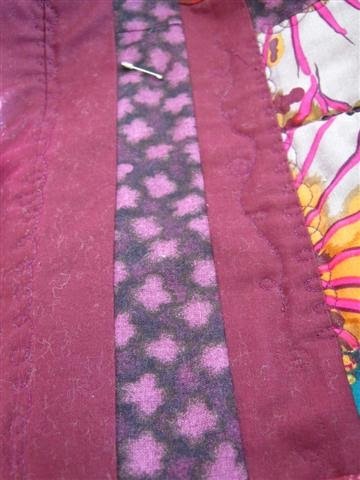 I decided a gainst velcro this time (I've noticed on my cellphone cover that the velcro does not hold the pouch shut after a while of frequent use) and want to use buttons instead. That's what the loops are for. I'm still looking for two light coloured buttons to attach. 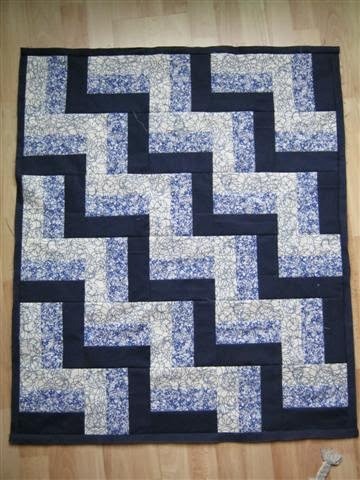 I don't always quilt in my spare time. 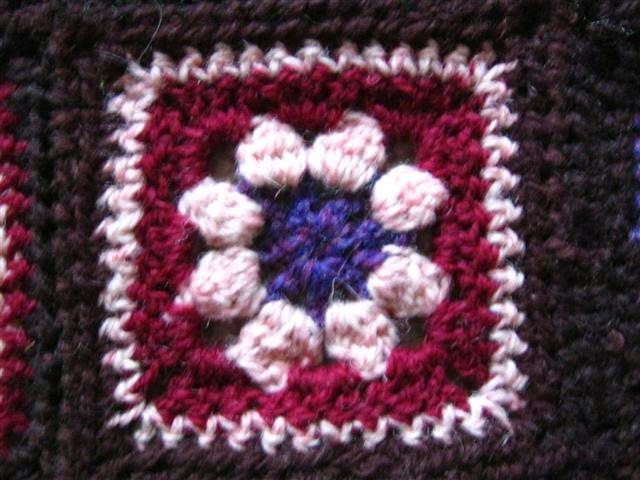 One of the other crafts besides sewing useful things other than quilts, is knitting and crocheting. 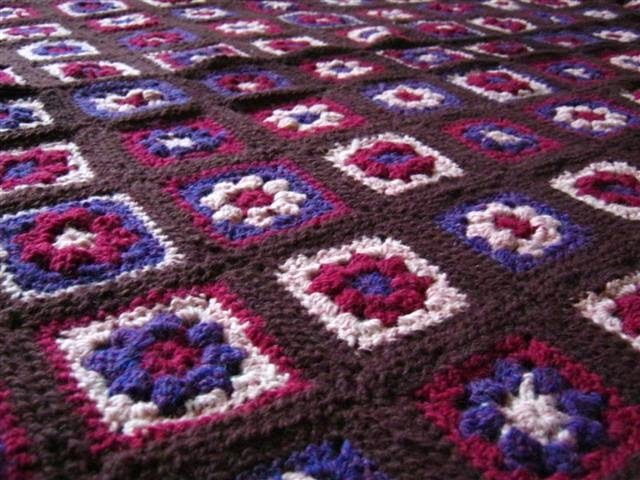 This granny square blanket was started in Canada, with sheep wool produced on Prince Edward Island. 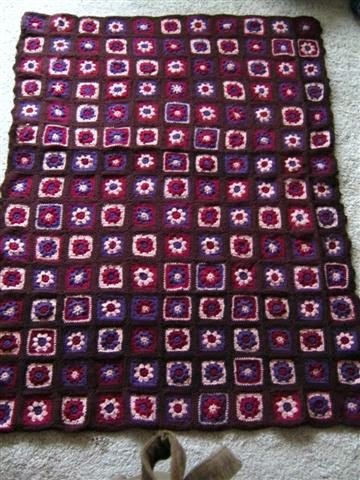 After about 60 squares, and seeing how little a piece of blanket those squares made, I was actually fed up with the project. However, I spent the last 3+ years plowing through the rest. Unfortunately, it took so long that when I had a friend send me additional wool from the same store, the brown was slightly different (darker). Cause I don't think woold bleaches that fast, does it??? 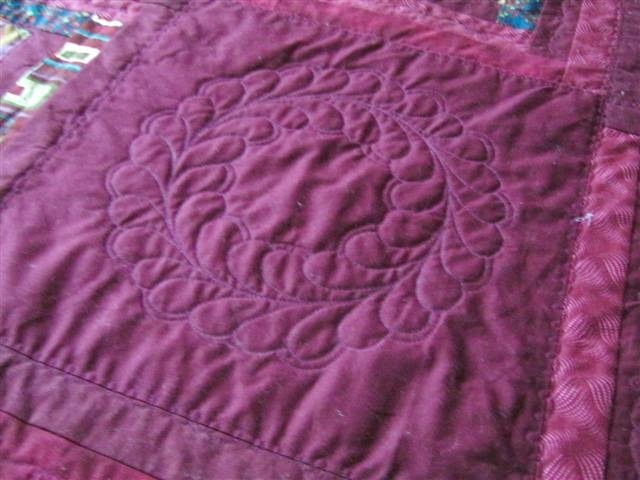 I liked the combination of wine red, brown, purple and pale rose. 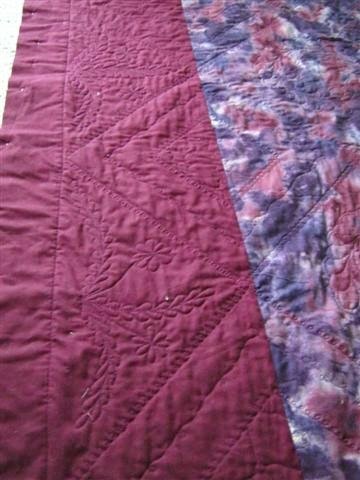 The colours already imply warmth to me (the purple is much less blue than in this photo). 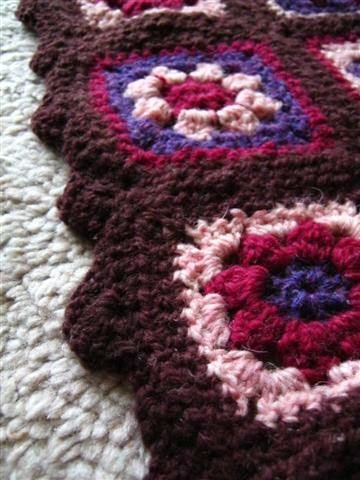 I crocheted a scalloped edge along the long sides of the blanket and want to use the left over wool to make frills along the short sides. Some day. The blanket is over my lap right now and lovely and warm! 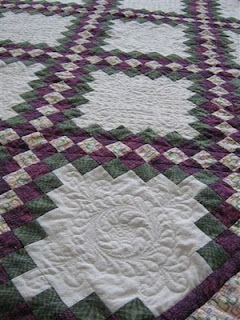 I have a soft spot for feathers, so decided to make a feather circle in the center of each solid diamond, similar to the this quilt I raffled off to raise money for Doctors Without Borders in 2011. 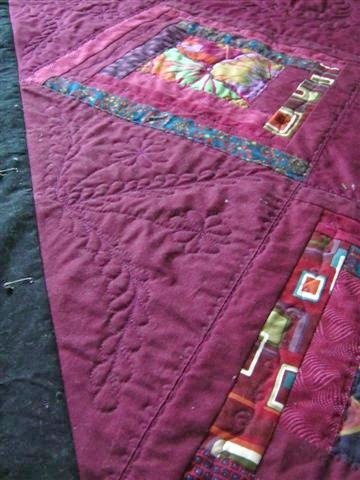 In the solid triangles around the outside, I also quilted feathers, mostly free-hand for a less rigid look. 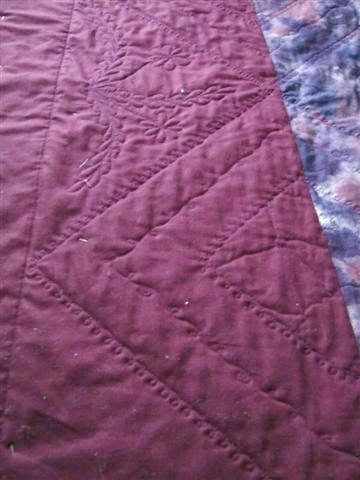 I just chalked out 3 wavy lines and feathered along them. 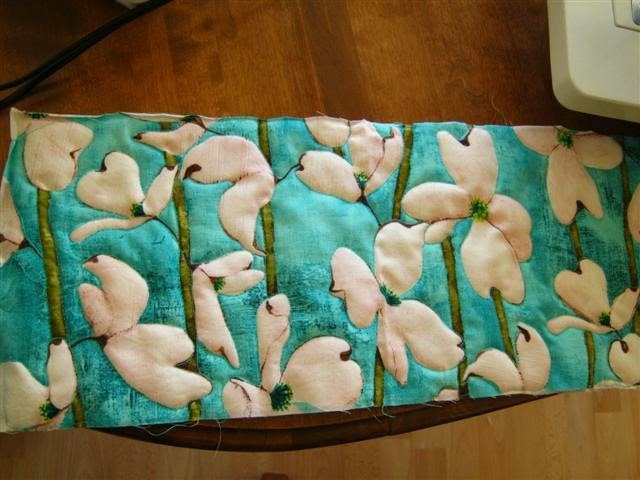 My feathers changed quite a bit between the first and last triangle (I was trying different techniques), but since I quilted tone-on-tone, it's not very noticable. 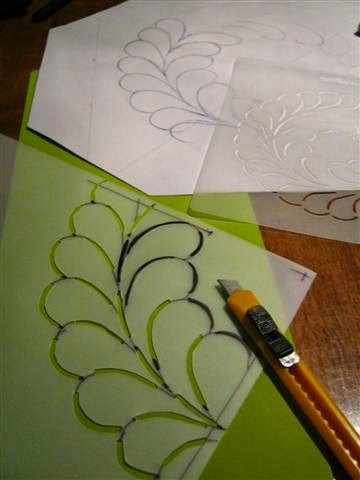 To fill the empty space between the 3 feathers, I added a flower on each side. 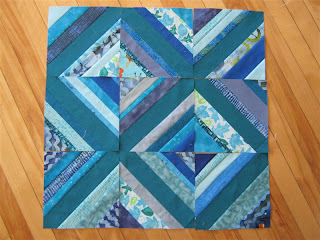 I like tone-on-tone quilting. 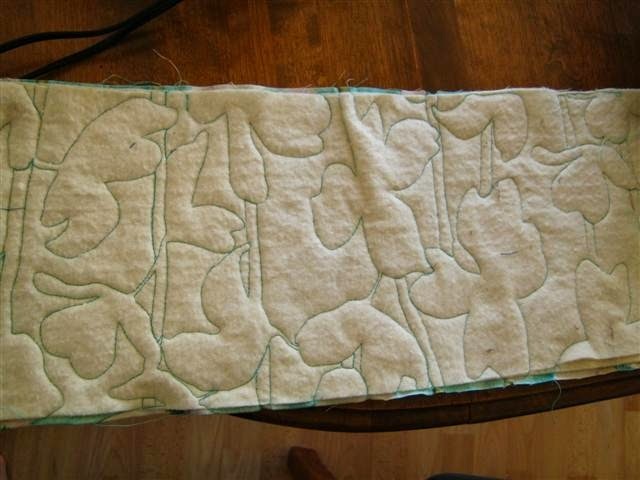 One day I will tackle a whole-cloth quilt in white. I love the effect of intricate free-motion quilting on white fabric! I have been looking at a lot of Diane Gaudynski's work, which is gorgeous. 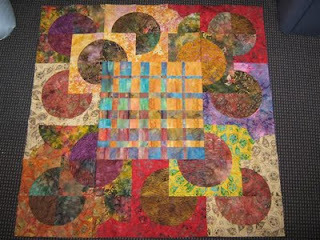 And here's the almost complete top. 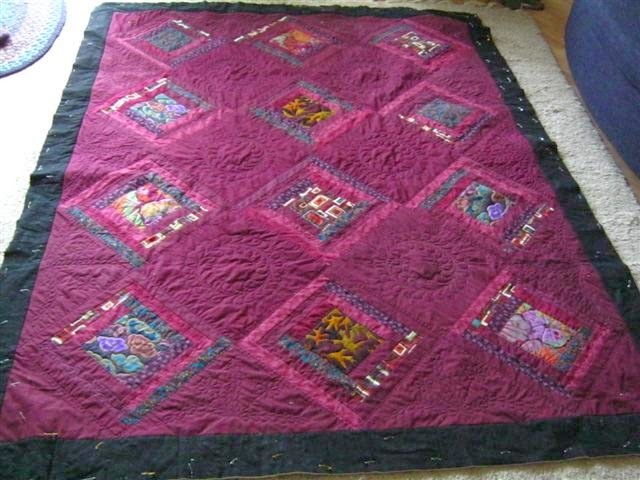 I am currently deciding whether to quilte the border in burgundy or black on black. 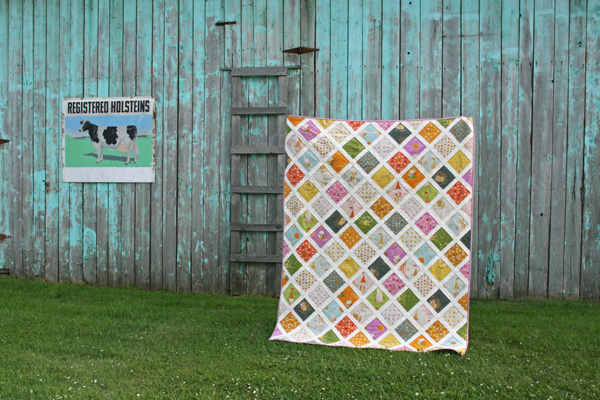 And what to quilt in the border. 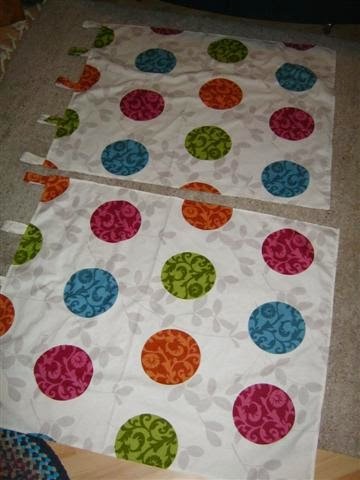 And what colour to use for binding... 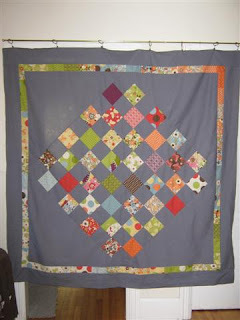 The black border is a bit oppressive, now that I look at it in this photo. What do you think?